Bali Kintamani Tour or well-known as Kintamani Bali Volcano Tour is best Bali full day tours package to see the gorgeous sight of lake Batur and Mount Batur Volcano Bali, as well as other top Bali places of interest in a one-day itinerary. Kintamani Bali Volcano day trip also becomes the most chosen Bali tour package together with full day itinerary of Kintamani volcano tour with Ubud village. Kintamani Volcano or Bali Volcano or also commonly known as Mt. Batur that has elevation 1,717 m (5,633 ft) and the first documented eruption of Batur volcano was in 1804. It is a well-known sightseeing and tour as well as sunrise trekking desired destination in main highlands of Bali island. The wonderful landscape of the volcanic Batur caldera does for the major interest encompassed by the fascinating mountain range. The Kintamani region includes three primary villages, including Penelokan, Batur, and also Kintamani. There also exist several classic Bali locals villages around Batur Lake, typically known as Bali Aga villages, the popular one is Trunyan village which is famous for its unique funeral tradition. Penelokan is a very common stopover, offering as a point of view at the southernmost of the crater rim, giving capturing scene over the Bali volcano. Below is the Kintamani Bali volcano tour itinerary in one day from 7 hours to 9 hours with the selections of best Bali tourist attractions from Bali Places Tour. Please noted that the full day itinerary of Kintamani Bali volcano excursion is private, which is only you (your family or your companions) and our tour driver. Check out as well our Bali half day tours programs for many other itineraries which are available in half day if you wish to do a sightseeing tour for a short day only. The number one destination to go on Kintamani mountain trip is the Batubulan county to enjoy the Barong & Keris Balinese dance performance. 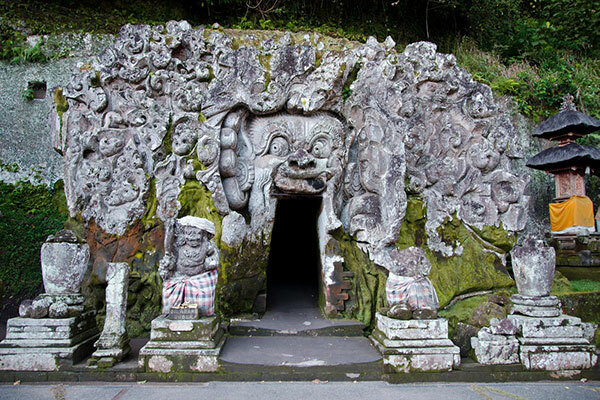 Batubulan is commonly known for the center of stone carvings on the Island of Bali. 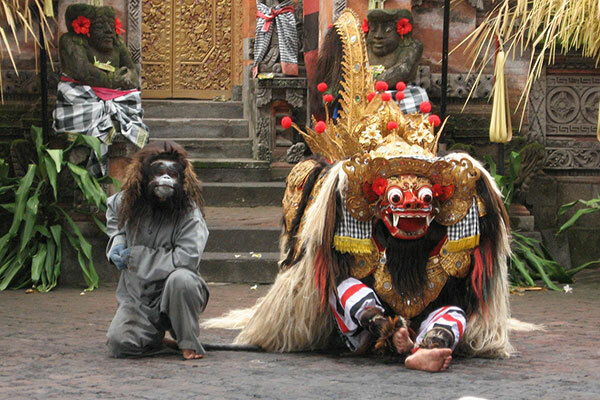 "Barong" on this dance show is a lion-like creature and character in the mythology of Bali. He is definitely the king of the spirits, superior of the hosts of good, and the opponent of "Rangda", the demon queen and mother of the majority of the spirit guarders in the mythological beliefs of Bali. The fights between Barong and Rangda is demonstrated in Barong dance overall performance to represent the unending battle between bad and good or right and wrong. Celuk is the second place to be visited in the number of Bali Kintamani volcano day trip program. Celuk is the famous town on the island being a touristic region mainly because of its locals are typically active and also great for making designs to the gold and silver jewelry manufacturer. The majority of these gold and silversmiths maintain their work in most recent design and style in conditions when they are ordered. Along the major roads, we are able to easily find out lots of art stores and also jewelry factory. 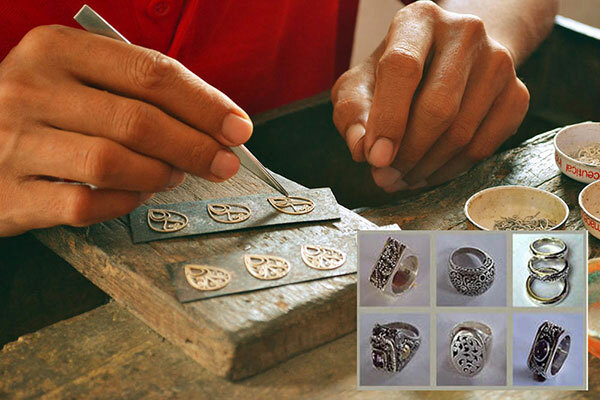 Each art shop has a workshop where the customers would be able to take a look at the artisans producing the hand-crafted silver jewelry. Batuan is included in our selections of Kintamani tour Bali volcano, its location around 9 km or merely an estimated 20 minutes from Ubud center area. Batuan is a village in Bali, Indonesia. It is by far popular for its artworks and style of hand painted drawing which was started in the village in the 1930s and has since shown up in a primary Balinese art style, often referred to as a Batuan painting style. Batuan is certainly the main painting central and has a range of art galleries and participating art communities that have given most in motivating the art painting of Batuan. Check also (Ubud Tour | Half-Day Trip Itinerary to Best Places in Ubud Bali). The following place to go in Kintamani volcano day trip activities is to stop at Mas wood carvings central. Mas is a village near the area of Ubud, Gianyar regency, Bali. Mas is recognized for the wooden created handicrafts and furnishings with outstanding export quality and very well processed and also evaluated. 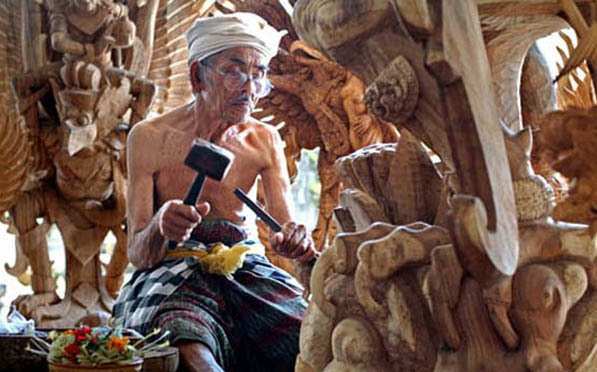 Mas is a center area of wood carvings in Bali island, most of the adult people in the town of Mas may carve the timber crafted statues and furniture items with various models and magnificent creativity, lots of members of the family in Mas creating wooden crafts for retail and export. Here we can find varied galleries from small to the big one to show and sell wooden arts and crafts that have been acknowledged internationally. The next tourist attraction to visit in Kintamani highland volcano tour is Goa Gajah Temple or commonly known as Elephant Cave Temple. 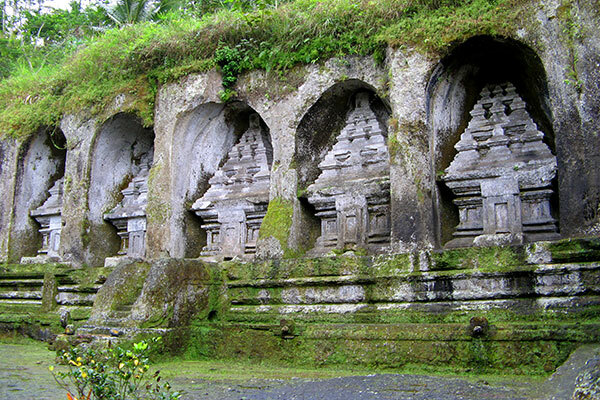 It is situated in Bedulu village close to Ubud town, built in the 9th century and it offered as a sanctuary. At the facade or outside of the cave is a relief of varied scary creatures and demons carved within the rock at the cave front. The main figure was once regarded as an elephant, that is why the nickname is Elephant Cave. The place is stated in the Javanese poem Desawarnana written in 1365. A wide showering area on the site was not dug until the 1950s. These seem to have been built to defend and protect against bad spirits. This site was put into the UNESCO World Heritage Tentative Listing on October 19, 1995, in the Cultural category. The following place to see on Bali volcano Kintamani day tour is to visit the coffee plantations in the direction of Kintamani mountainous areas. 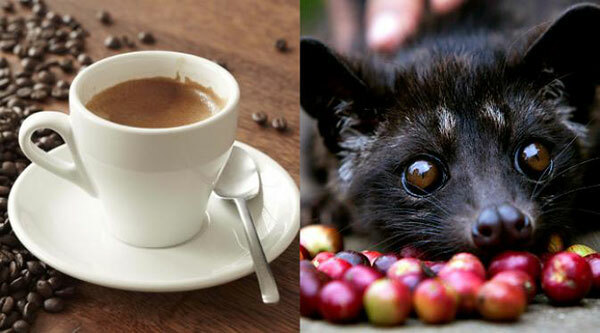 Did you know regarding "Luwak Coffee"? It is one of the finest coffee on the globe. Luwak Coffee or Civet Coffee (Indonesian: Kopi Luwak), signifies the coffee containing part-digested coffee cherries swallowed and defecated by the Asian palm civet (Paradoxurus hermaphroditus). For those who really like caffeine, then we are going to stop here to see how the operation of processing The Luwak Coffee conventionally but the cleanliness kept in priority, and the pleasing thing is we are able to taste it or even buy it. We are going to stop at the restaurant for having lunch with awesome landscapes and fresh cold ambiance of the mountainous areas of Kintamani Bali. Kintamani is a highland area of north-eastern Bali at the Mount Batur caldera, it is widely known as just Kintamani. It is situated on the rim of the big Batur caldera about 1,500 m above sea level and provides gorgeous views of the lake Batur as well as the Mt. Batur that is certainly noted for the most active volcano on the island of Bali, Indonesia. The next destination to be toured on the Kintamani mountain excursion is The Tirta Empul Water Temple Bali, Tirta Empul temple (Indonesian: Pura Tirta Empul) is a Hindu Balinese water temple positioned around the area of Tampaksiring, Bali, Indonesia. The temple yard contains showering structure, famous for the holy spring water, where Balinese Hindu people go to visit for ritual purifying. The temple pool consists of a spring which supplies out clean and fresh water continuously. 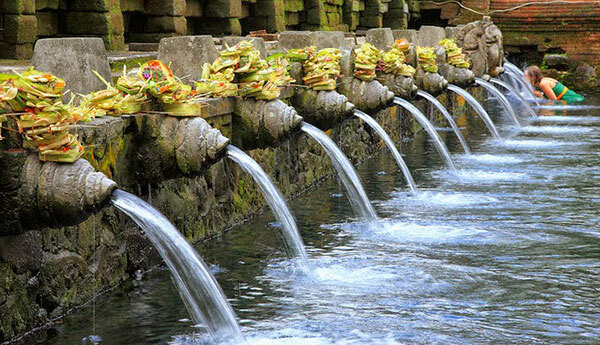 Tirta Empul means Holy Spring in Balinese. Check also (Kintamani Besakih Tour | Bali Volcano & Mother Temple Bali Trip). The last place to be visited in Kintamani volcano tour is Gunung Kawi temple. It is an 11th-century temple and funerary compound in Tampaksiring region Bali, Indonesia, that is expanded on both side of the Pakerisan river. It forms 10 rock-cut shrines which are carved into certain 7 metres-high (23 ft) secured fields of the solid cliff face. These kinds of funeral monuments are considered committed to King Anak Wungsu of the Udayana dynasty and his beloved queens. On the east area, there exist five temples which are dedicated to King Udayana, his queen Mahendradatta, and their sons Airlangga, Anak Wungsu, and also Marakata. The temples on the west part are devoted to the king's minor queens or concubines. Below are the most frequently asked questions about Bali Kintamani volcano sightseeing tour package, feel free to contact us for more information. What is included in Kintamani volcano excursion package? 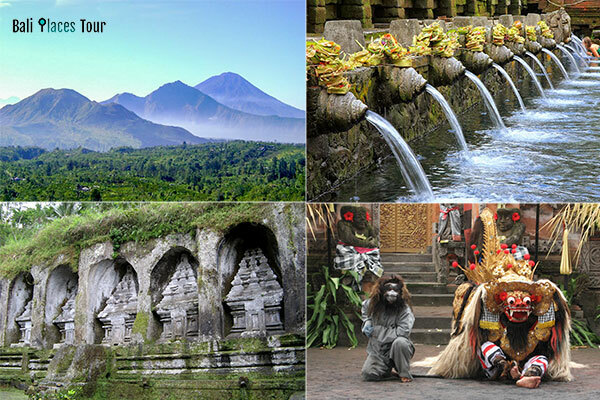 What is NOT included in Bali Kintamani tours package? It's not included your meal (lunch), personal expenses (shopping, etc), entrance tickets to visit tourist places and Balinese dances shows. What to bring in Kintamani volcano trip? You could wear simple informal outfits, bring a bottle of mineral drinking water to prevent dehydration (Bali island has high humidity), sunscreen to avoid skin burn (Bali is hot), Sunglasses, cash (for lunch, entrance tickets, or shopping), medicines (if you are on treatment), camera/smartphone. How much the entrance fee to watch Bali Barong dance performance? The entrance ticket price to see Batubulan Bali Barong and Keris dance show is IDR 100,000 per person (updated 2018), you could pay directly in the location. Any specific rules, etiquette or dress code to enter Balinese Hindu temple? Yes, all of the temples in Bali are sacred, in order to respect the holiness of the temples we must follow several restrictions. The common etiquette to go into Bali temple, such as to wear Balinese sarong or scarf (could usually be rented in the location or normally it's included with entrance ticket price), cover up your upper body (dress in simple clothes and wear a top that at least coverings your shoulders), you should not enter into any temple in Bali while in menstrual cycle (for the ladies). We are sorry for the inconveniences, however, these are some general rules to comply for visitors during temple touring in Bali. What kind of meals is available for lunch in the restaurant at Kintamani? The majority of restaurants in Kintamani are offering buffet lunch with a variety of menu (mainly Indonesian food). We will take you to the standard and good one for your lunch while enjoying the spectacular view of Batur Volcano and also lake Batur in Kintamani Bali. How much the entrance fee to visit Gunung Kawi Temple? The entrance ticket price for visiting Gunung Kawi temple is IDR 50,000/person (valid 2018, price may change without prior notice). How much the entrance fee to visit Tirta Empul Temple? The entrance ticket price for visiting Tirtha Empul temple is IDR 50,000/person (valid 2018, price may change without prior notice). How much the entrance ticket price to visit Goa Gajah Temple or Elephant Cave Temple? The entrance fee for visiting Goa Gajah temple is IDR 50,000/person (valid 2018, ticket price may change without prior notice). I'm interested in going for Bali Kintamani Volcano Tour, how I book? You can simply email us or you can fill up the form at our booking page to book the Kintamani volcano day tour or any other tours and activities by mentioning the ID that is posted in every tour packages on our site (ex: KVT-01 for Kintamani Volcano sightseeing day tour) and you have to book at least one day before. How I pay for Bali Kintamani volcano tour package and how much the cost? At this moment we accept the payment by cash and the price is IDR 550,000 (Indonesian Rupiah), you could pay directly to our driver that come along with you for Bali Kintamani tour activities. We will convert the price according to daily exchange rates if you would like to pay in a different currency. Please be informed that the price of Kintamani volcano trip above is per vehicle (not per person). Kintamani Bali volcano day tour is a full day itinerary to explore Balinese historical places, culture, art, and also the breathtaking panorama of the most active volcano in Bali island called Mount Batur as well as the lake Batur which is known for the largest lake in Bali. This is one of the best things to do in Bali in one day for travelers who wants to explore Bali island, especially in the north-eastern part. The Kintamani volcano tour is a private day trip, accompanied by professional and friendly Balinese driver and provided with a legal and registered vehicle for tours transportation.